For over fifty-five million years, humankind and our earliest ancestors have roamed the planet in search of one thing – FOOD. We’re still at it. Food is both the world’s single largest industry and critical to our survival. Not surprising then, that from Amsterdam to Zagreb and everywhere in between, food tours are the smart new way to explore a city, check out the culinary highlights, and meet a group of like-minded people who are interested in food, community, and local history. And then, of course, there’s the FOOD itself! I meet my tour in Confederation Park, where owner and tour guide Daniel introduces group members and establishes an easy rapport. 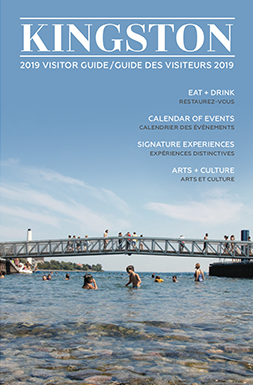 We’re a small crowd, including a young couple from Germany who “do food tours in every city they visit,” and a pair of knowledgeable and enthusiastic food lovers from Toronto. 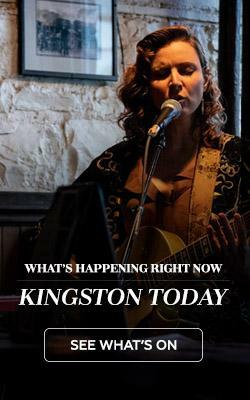 Daniel tells us what’s in store for the next couple of hours as we head out walking and eating our way through Kingston’s historic downtown. 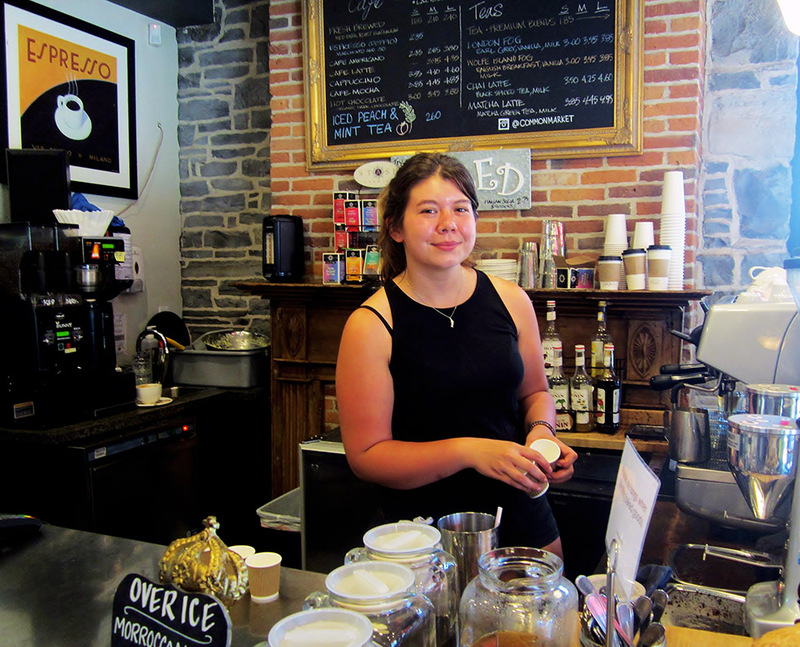 Our first stop is Dianne’s Fish Snack and Smoke House – a beautifully renovated, classic old limestone building. 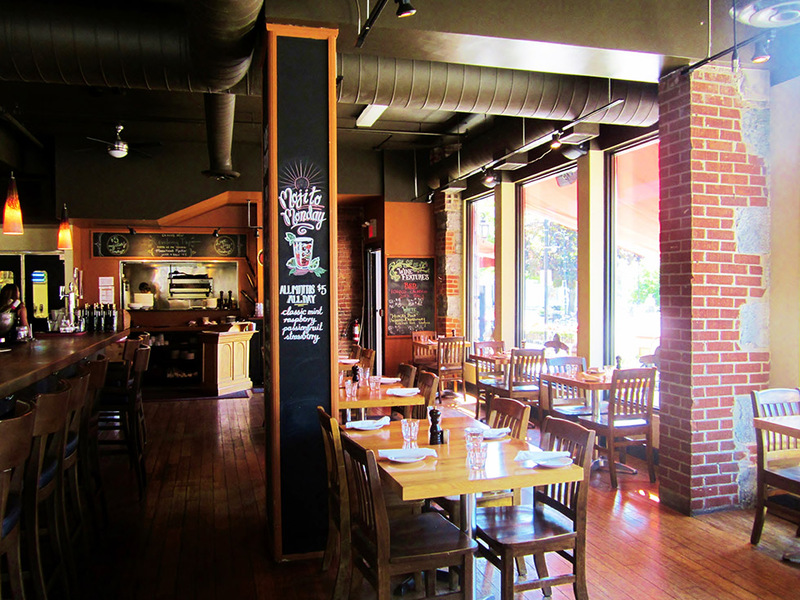 The menu is inspired by the owners’ east coast heritage combined with their love of Mexican cuisine. We tuck into a fantastically tasty beer battered (and sustainably caught) Baja fish taco topped with pico de gallo, avocado-tomatillo crema, and pickled red onions on a corn tortilla and wash it down with a perfect margarita. I make a mental note to myself to come back and have the exact same combination again, another time. 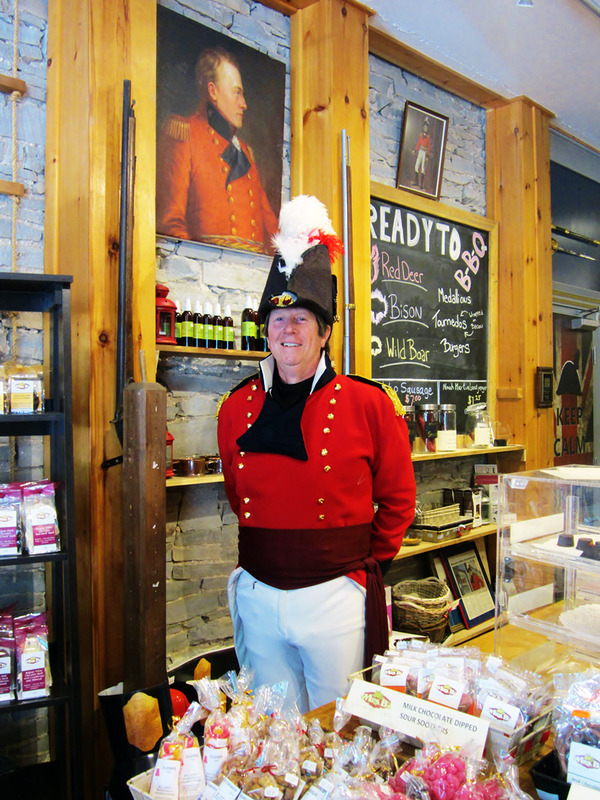 As we set off for our next stop, Daniel fills us in on lots of local history and even though I’ve lived in this city since 2001 and take an avid interest in both its history and the food scene, I’m delighted to learn plenty of interesting, new information. For the next couple of hours, we explore the city with our palates. Every stop offers a little something different. We are ushered into private spaces like the bread oven kitchen at Pan Chancho, where we sample fresh bread, cheese, and maple chomeur. Next up, we’re perched at the bar in Atomica, eating a delicate thin-crust pizza with arugula and pine nuts and drinking Red Fox, a local beer brewed by MacKinnon Brothers Brewing on their 200 year old family farm. From there we’re off to Olivea to sample a rich slow-cooked beef cheek ragu on homemade gnocchi. Then it’s the stylish Tango Nuevo for Börek, a traditional Turkish pastry filled with feta, cheddar, and parsley, served with a robust olive tapenade. On site at delicious Olivea. 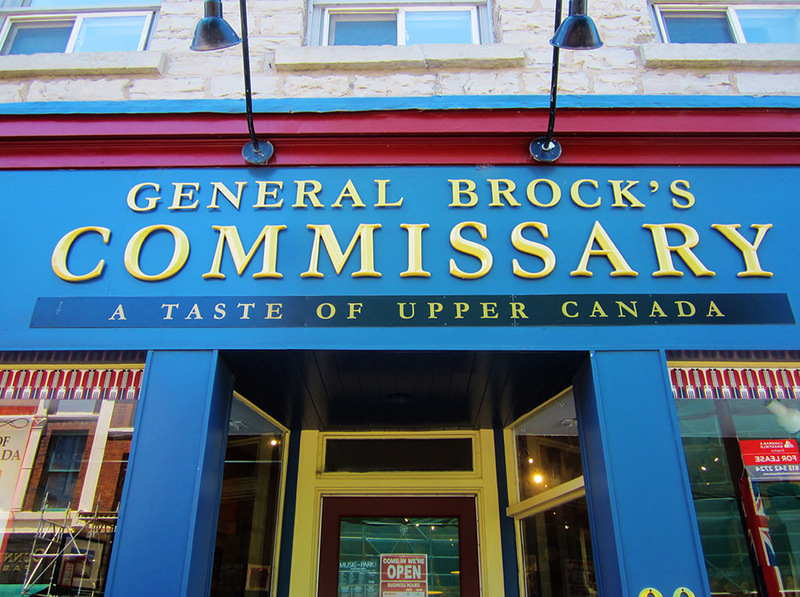 The pace changes a little as we move on to visit a couple of specialty food stores including General Brock’s Commissary for a Canadian history lesson along with samples of savoury shortbread and cheese, salami and specialty mustards; and the Kingston Olive Oil Company, for a flight of premium olive oil and balsamic vinegar samples. 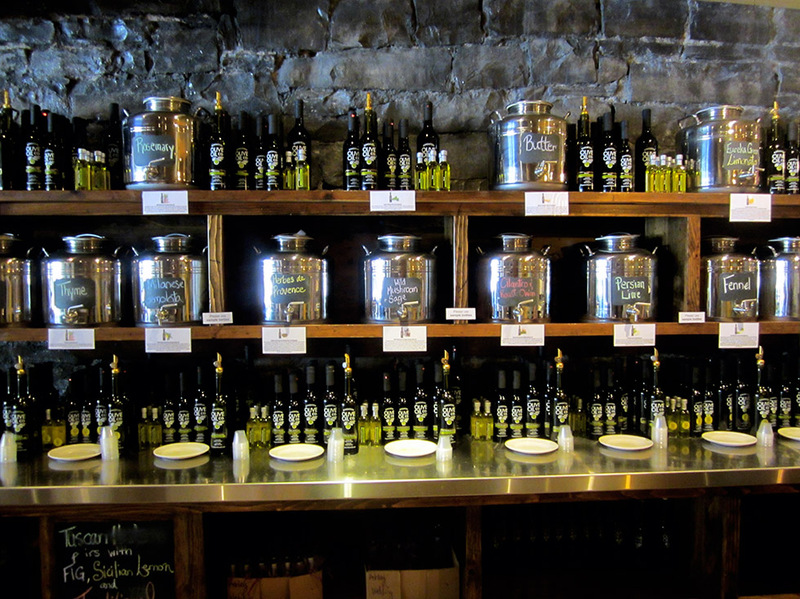 The offerings at Kingston Olive Oil. Just as we’re seriously beginning to lag, we make our way to The Common Market, our final stop for a tantalizing taste of Slickers Campfire ice cream (think marshmallows toasted over an open fire) and a Spanish cortado – espresso laced with a small touch of warmed Limestone Creamery milk. Our little group of strangers has bonded over food and stories and we part friends. That’s the power of food. 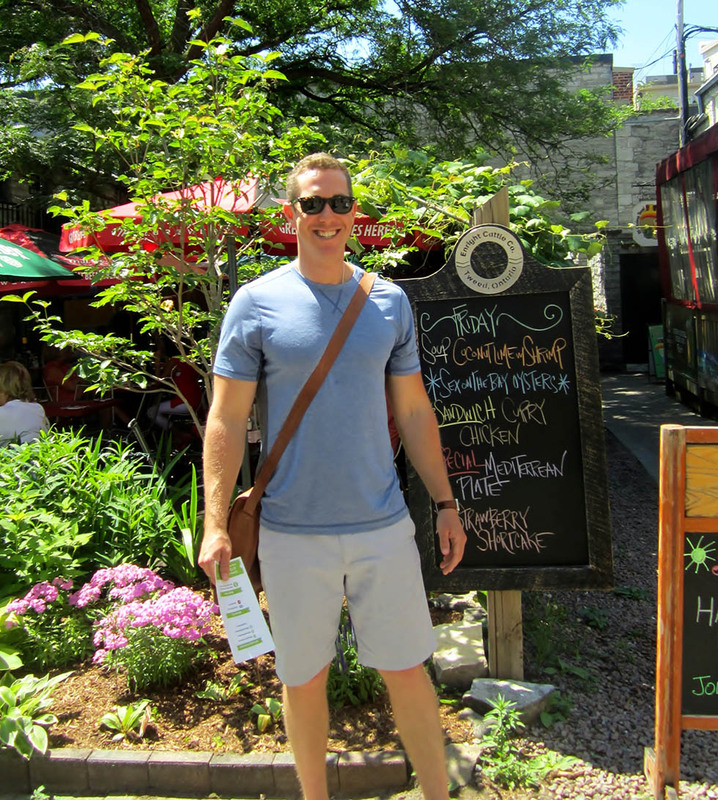 If you haven’t already taken a food tour, it’s time. 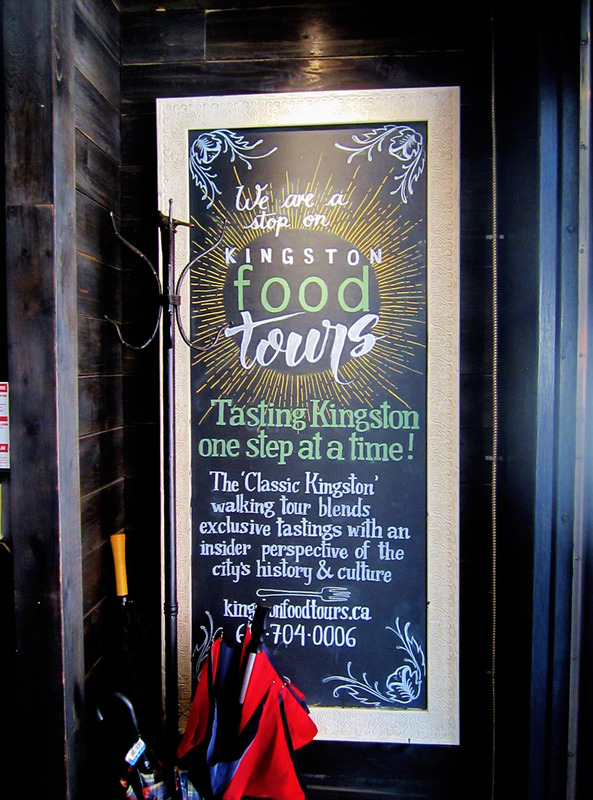 Book your first (or next) Kingston Food Tour today and get ready for a city full of flavour.